I have been running transmission on raspberry pi for many years. Today however I noticed a peculiar problem. 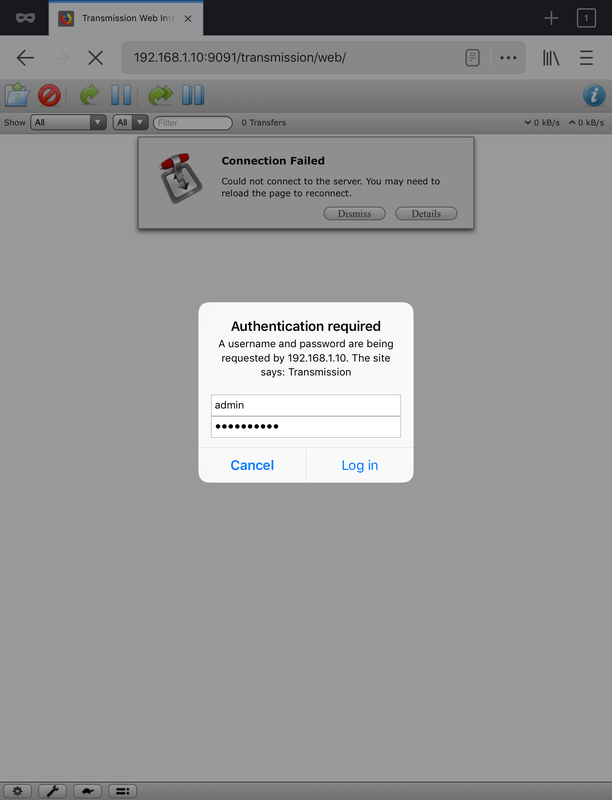 When I try to login to the web UI, I keep getting the login prompt. I tap login but then the same prompt comes up repeatedly. Disabling rpc authentication resolves the problem but I do want to use a password. Issue resolved. Turns out this was an issue with iOS version of Firefox.